In this edition TravellersInsights features a breakthrough technology developed by http://Holidays.Barbados.org team. The software is an expert engine that creates holidays that are tailored to individuals and families based on personality. The system is referred to as holidays.exclusivelyours.com and it will soon be available as a service and an engine that other destination may use. 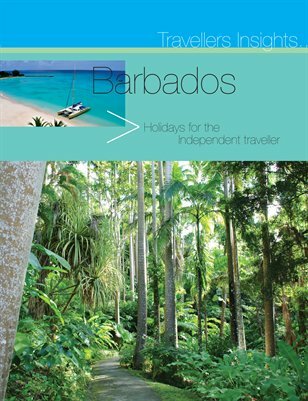 Barbados was made for the Independent traveller as you will discover in this magazine and its videos. Here we feature amazing saga of Nicholas Abbey, with tales of lust betray and intrigue that are based on facts, and with people in high esteem. Now you can visit the Abbey and take the tour in the new independent holiday packages made specifically for readers.